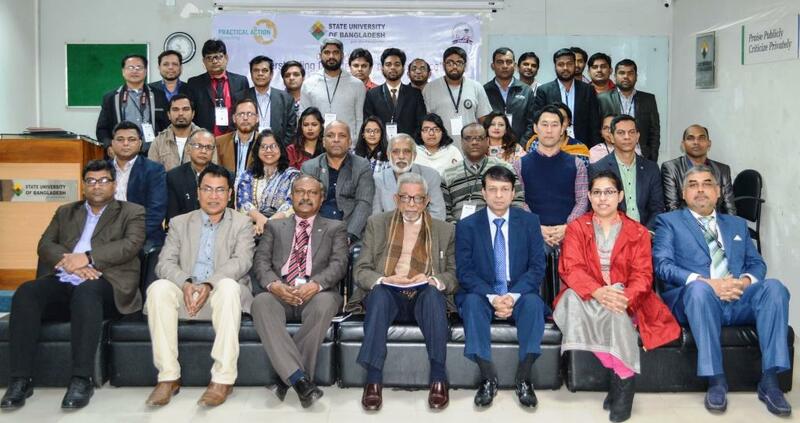 A 36-Hours (3 Credits) Certificate Course on “Understanding Disaster Risk and Resilience” started on January 4, 2019 with 30 participants from public, corporate and development sectors including Armed Forces and Diplomatic Mission. With Professor Dr. Amir H. Khan, Advisor, Department of Environmental Science at SUB in the chair, the opening session was inaugurated by Professor Maj. Gen. (Retd) Mohammad Quamruzzaman, Registrar of SUB. Mr. Shamsuddin Ahmed, Director, Bangladesh Meteorological Department was present in the opening session as Chief Guest. Teachers, students, invited guests and other dignitaries were present in the program. SUB is organizing the course in association with Practical Action Bangladesh and Disaster Management, Education, Research and Training Network (DMERT). Daily Amader Somoy, The Daily Sun and on-line news portal Andolon71 are the media partners.